All the info you need to make the right pizza tools purchases. Before you make a purchase, let Kinnek do the hard part. Submit a free request for quotes using the form to the right, and we'll get multiple suppliers to provide you their commercial pizza baking tool offerings and pricing so that you can compare all your options in one place! To open a pizzeria, you’ll need more than a pizza oven and a dough mixer. Maintaining high quality with regard to pizza taste and texture - and maintaining peak efficiency in the kitchen - demands more than sweat. You’ll be best served by purchasing specialized tools to get the job done right. Pizza pans and trays provide a surface for the dough to sit and bake. The deeper and thicker the tray/pan surface, the easier it is to develop a thicker, softer crust, as the space allows for a larger layer of dough and the thick tray/pan makes it more difficult for heat to reach the dough and crisp it. 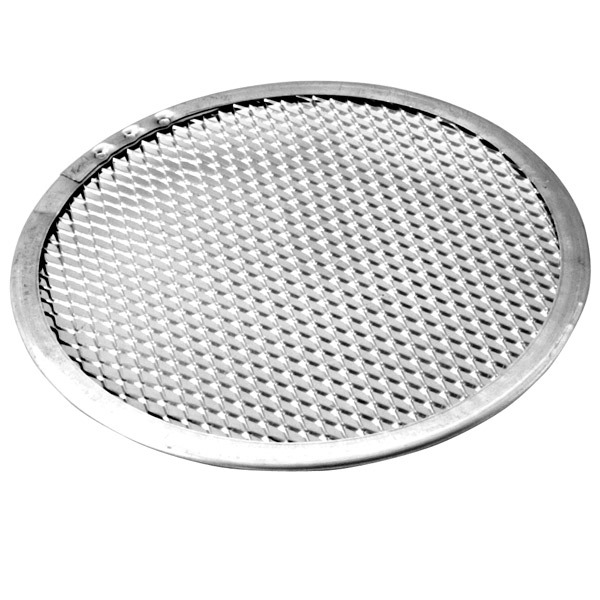 Like pizza pans and trays, pizza screens are a cooking surface for the dough to sit and bake on, though pizza screens are designed specifically for making crispy, thin crust pizzas. The perforated bottom of the pizza screen allows for heat to more easily reach the dough and thus to crisp it. Like pizza pans, trays, and screens, pizza stones serve as a cooking surface for the dough. Pizza stones are meant to replicate the flavor and texture of the crisp, classic style of pizza made in a brick oven. The pizza stone distributes heat evenly across the base of the pizza dough - ensuring that there are no hot spots - and absorbs moisture so that the crust becomes crispy. Pizza peels are flat wooden extensions that enable the user to safely and easily slide both unfinished pizza dough and finished pizza in and out of the oven. To prevent sticking with raw pizza dough, rub some flour onto the pizza peel. 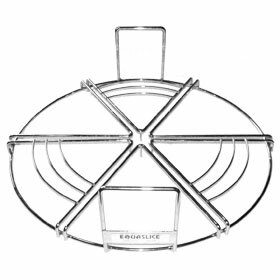 The design of the pizza peel is thin enough for a “shoveling” motion, which allows the user to pull pizza pans, trays, screens, and stones out of the oven safely. This is a crucial tool in the kitchen and an absolute necessity for a pizzeria, not solely for employee safety purposes, but also to ensure that employees can maneuver pizza in and out of the oven quickly. 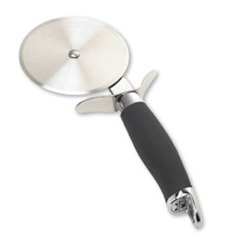 Pizza wheels, otherwise known as pizza cutters, are used to separate the pizza pie into equivalently-sized pieces, and as such, are a necessity in any restaurant serving pizza. A pizza cutting guide helps to ensure that the size of your pizza slices is the same all around. Pizza cutting guides are essentially “frames” for the pizza. The user places the frame on top of the pizza, then cuts along the guide. As they are quite cheap, some owners might find this a worthwhile investment to help new employees cut equal-sized pizza slices. 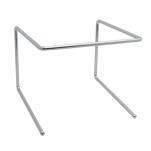 Pizza table stands keep the pizza above and away from the customers and the table, thus minimizing the chances of customers getting burned by the hot pizza (and the hot plate), and also saving a bit of space at table-level for small plates. If you’re serving especially large pizzas fresh-out-of-the-oven, a pizza table stand may be a good investment for space-saving and safety purposes.